Bejeweled and Bedazzled is opening this January 26th at the Albany Institute of History and Art. Mark Lawson Antiques is a proud sponsor of the exhibit. This exhibit, lasting until July 28th of 2019, will feature jewelry from the museum’s collection. There will be more than a hundred pieces of jewelry from four centuries worth of craftsmanship. The Institute will use the pieces in the exhibit to tell stories of why and where they were purchased, who owned them, and when they were worn. The materials range broadly, from ceramic to mother of pearl, from gold to hair. Bejeweled and Bedazzled will be divided into three separate sections. First is jewelry acquired from Europe. This section spans Italian micromosaic brooches with vignettes from Roman ruins and carved shells with goddesses. 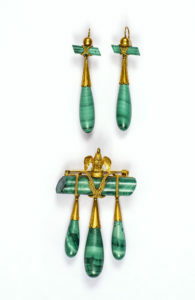 The next section is filled with jewelry that references ancient times. Brightly colored scarab beetles call back to Egyptian decoration. Gilded filigree brooches emulate the opulence of Byzantium. The final section is comprised of memorial jewelry. This includes Victorian hair jewelry, a type of jewelry woven from the hair of loved ones. Also included are brooches and lockets with hand-painted miniature portraits of family members. 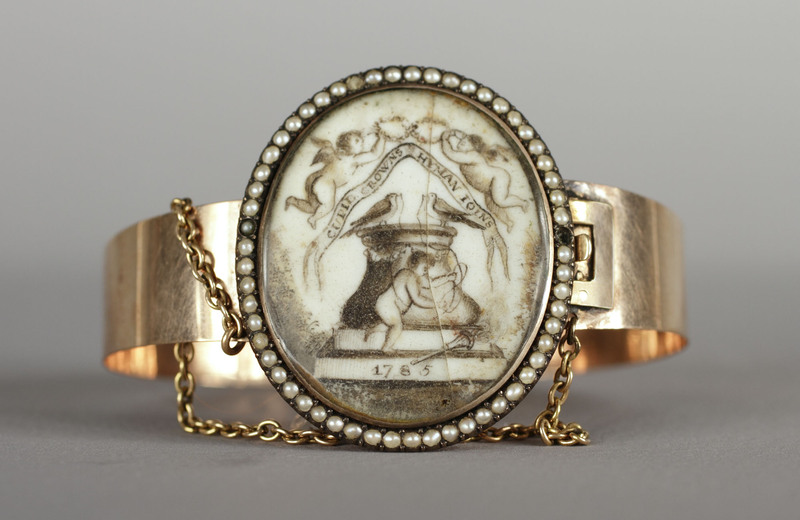 This is the Institute’s first exhibit focusing on their incredible jewelry collection. We at Mark Lawson Antiques are proud to be sponsors of Bejeweled and Bedazzled, which will run from January 26th through July 28th, 2019. For museum hours, please click here. We will be hosting an appraisal day at the Institute on March 30th from 10:30AM to 2PM. This post will be updated with more information regarding the appraisal day. Albany Institute of History and Art. For any general questions and information on concurrent exhibits. A history of jewelry. An interesting read by the Victoria & Albert Museum. Micromosaic Jewelry. More information on the history of micromosaic jewelry by the Gemology Institute of America. Not always easy these days to find someone you can trust and treat you fairly. Thank you. - Eugenie B., Glens Falls, N.Y.